The General Services Administration has finalized a rule that requires federal contractors to report transactional acquisition data and eliminate disclosure and tracking requirements for contractors. GSA will implement the Transactional Data Reporting rule in an effort to collect data on prices paid by agency clients, product description, standard part numbers and quantity of all purchases that government agencies made through GSA’s acquisition vehicles, the agency said Wednesday. The TDR regulation also aims to remove the Price Reductions Clause tracking and Commercial Sales Practices disclosure requirements. “Collecting and sharing transactional data is essential in order for GSA to provide information that federal buyers need to conduct meaningful analysis and successful negotiations on behalf of the taxpayers,” said Tom Sharpe, commissioner of the Federal Acquisition Service at GSA. 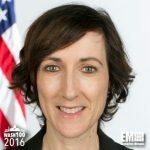 Anne Rung, U.S. chief acquisition officer and an inductee into Executive Mosaic’s Wash100 for 2016, said the rule will help advance the administration’s category management initiative. GSA said it expects the rule’s implementation to result in $29 million in cost savings across the agency’s contract vehicles and the Federal Supply Schedules Program. GSA will implement the final rule through a pilot program and in phases across the agency’s procurement vehicles that include Schedule 58 I for professional video/audio and telemetry equipment and some special item numbers of Schedule 70 for information technology products and services.